An old favourite from the Library collections, The Evolution of Household Articles has been digitised. We’ve used some of its quirky images on the blog before, and now it’s available for everyone to enjoy, in glorious detail, in our player. 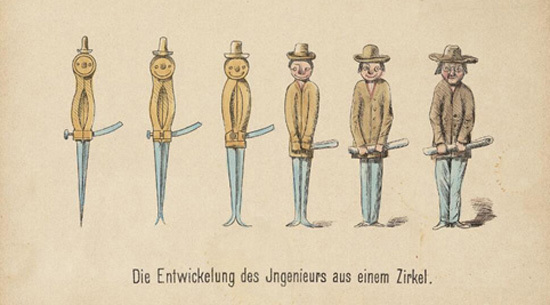 Consisting of an illustrated title sheet with text, and 20 prints each representing the transformation of a household object or animal into a person or another object, this humorous take on evolution was published in Germany in the 1860s. The prints represent some of the contemporary popular debates about Darwinism. They also demonstrate how artists drew on both old and new traditions in art and the emerging mass media to get their message across. In the illustrated press of the time, two trends emerged reflecting different aspects of evolutionary theory. The first was characterised by playful, often caricatured images depicting transformation and variation. The second was usually more straightforward imagery relating to selection, often presenting life as a struggle in which the strongest thrived at the expense of the weak. Darwin himself noted that “it is curious how nationality influences opinion”. German was the language into which his work was most quickly and comprehensively translated, and popular interest in ‘Darwinismus’ in Germany was driven thanks in part to the biologist Ernst Haeckel, whose own highly visual works were influential in both art and science. 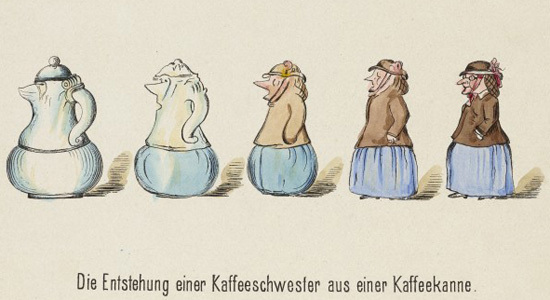 In general, Germany favoured images of selection (often associated with struggle and war), rather than the images of transformation or change favoured by the English media, so Evolution of Household Articles is a relatively unusual German example of transformation. A sub-set of species transformation was the representation of monkeys or ape-like creatures in popular cartoons. The evolutionary tree sometimes made an appearance, often with an ape-like ancestor or an apish Darwin himself sitting or swinging amongst its branches. The twin images of the ape and the tree embodied the theory of human descent, and this message could be found in cartoons in England and France as well as Germany. 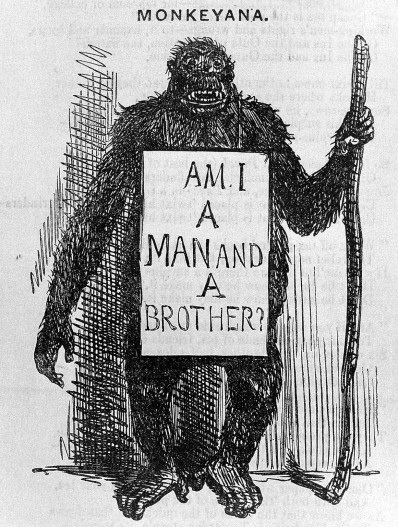 A cartoon in Punch from 1861 depicts an ape carrying the sign “Am I a man and a brother?”. 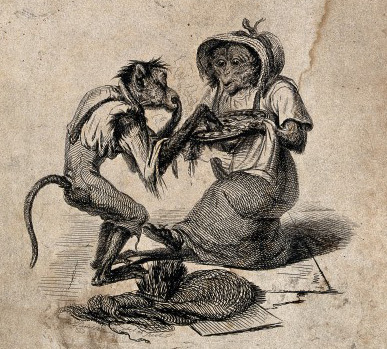 It is titled ‘Monkeyana’, and alludes to contemporary debates about both evolution and slavery, but also to an earlier tradition of apes and monkeys in art. In the Western art tradition, the monkey often embodied sinful qualities or weaknesses. The original ‘Monkeyana’ was a set of 24 etchings by Thomas Landseer published in 1827. They show monkeys in different costumes pursuing various human activities and are a satirical comment on the society of the time. Even good-natured cartoons of monkeys and evolution were perhaps a comment on the foolishness of the idea of evolution. They asserted the fundamental absurdity of Darwinisim – that such an obviously superior species as humans could have descended from monkeys. 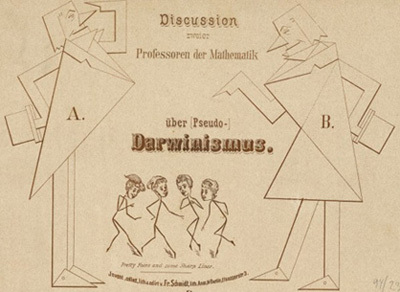 In the verso title sheet, two professors of mathematics debate the theory of evolution. Professor A complains that he cannot make sense of Darwin’s theory that man is descended from apes. Professor B explains that evolution of species occurs through increased use or disuse of various organs. The subsequent 20 images of transformation demonstrate the theory empirically. The subject of evolution was nothing new when On the Origin of Species was published in 1859. 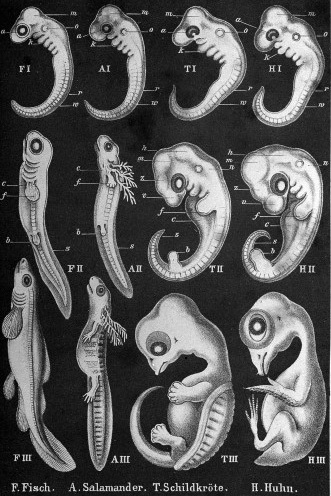 Concepts such as transmutation were already circulating through the work of Lamarck and others. Many accounts confused Darwin’s natural selection theory of evolution with older theories of species change, particularly Lamarck’s theory that the effects of the environment and the habitual use or disuse of an organ could be directly passed onto the next generation through reproduction. At around the same time as Evolution of Household Articles was published in Germany, the English cartoonist Charles Bennett published a series of cartoons in the Illustrated Times entitled ‘The Origin of Species’, depicting transformations of humans into objects. 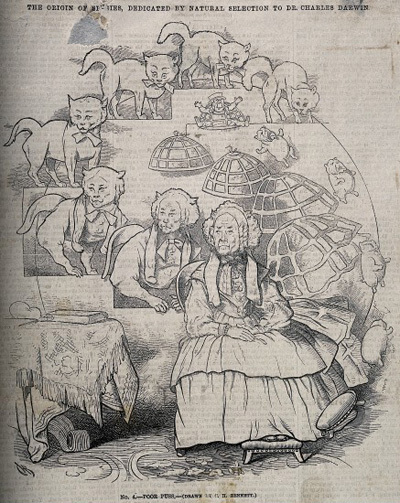 Both Bennett and his German counterpart follow the tradition of caricature in offering moral lessons or social commentary by mocking vices such as gluttony, and stock characters such as the old maid (often a gossip) and the dandy. 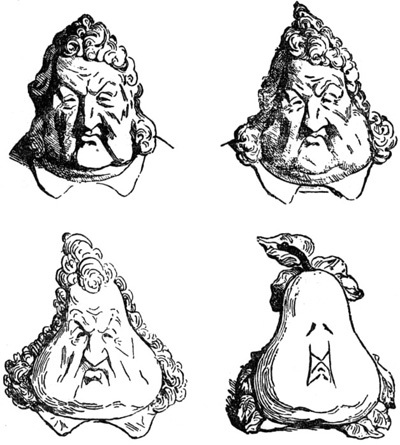 Representations of transformation also had a tradition in caricature: for example, Charles Philipon produced a well- known caricature of King Louis-Phillipe being transformed into a pear. Honoré Daumier’s “Les poires” (“The Pears”), published 1831 in La Caricature. Redrawn for publication after Charles Philipon´s original sketch “La Métamorphose du roi Louis-Philippe en poire” (“The Metamorphosis of King Louis-Philippe into a Pear”). Bibliotheque Nationale de France, Paris. Cartoons and caricatures in the mass media contributed to shaping 19th century popular thought about evolution. They helped to disseminate Darwinism to a wider audience in a form that could be easily digested and debated. But popularisation was a two edged sword: it could promote evolution and transmit concepts to a wider audience; it could also perpetuate misunderstandings and oversimplifications. To be fair, Darwin encountered misrepresentations of how natural selection worked from fellow scientists as well as the popular media. Perhaps cartoonists chose to highlight certain aspects of the theory because they could employ the older visual traditions at their command. Variation and change evoked general notions of metamorphosis and transformation, and ‘monkeyana’ was an effective device for poking fun at ‘foolish’ notions. Perhaps it is the power of such images to simultaneously carry multiple meanings that allows us to assign to them our own understanding of transformation and change, and continues to makes them so captivating. Brown J. Darwin in caricature: a study in the popularisation and dissemination of evolutionary theory. In B Larson and F Brauer (eds.) The Art of Evolution. Dartmouth College Press; 2009. pp. 18-36. Smith J. Darwin and Victorian caricature. 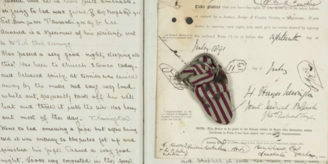 In Charles Darwin and Victorian Visual Culture. Cambridge University Press; 2006. pp. 233-243. Voss J. 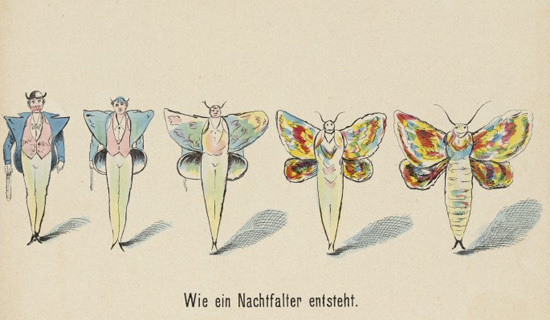 Variation and selection: the theory of evolution in the English and German illustrated press of the nineteenth century. In Kort P and Hollein M (eds.) Darwin: art and the search for origins . Wienand; 2009 pp. 246-256. Schupbach, W. Professor A and Professor B discuss Darwinism in Berlin. 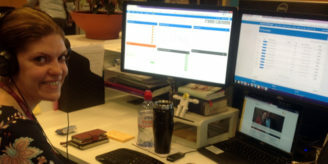 Author: Lalita Kaplish is a web editor at the Wellcome Library.